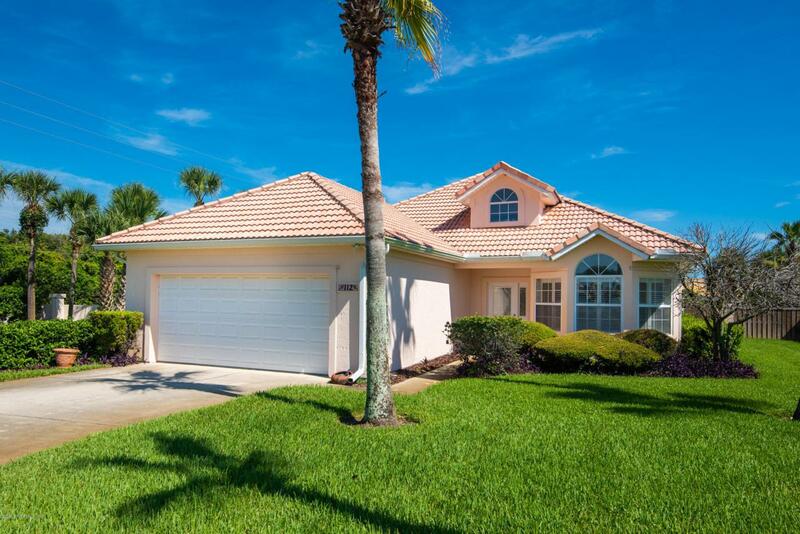 OCEANSIDE 3/2 home with deeded beach access in the beautiful Sea Place development a Mediterranean inspired community with 2 pools, tennis, r-ball & clubhouse. HOA maintains all landscape for the homes as well as water/sewer usage. This is a 1 level home with 10ft ceilings, crown molding, open great room plan. Large posh master retreat & bath, 2 spacious guest bedrooms & den/office. Bright kitchen with white cabinets & breakfast nook. The home is located on a quiet cul-de-sac on a large fenced lot w/lawncare included. There's an inside laundry & 2 car attached garage. Walk to grocery, shops & restaurants & the historic district is just a 7 minute ride. This phase allows rentals on a 2 week minimum. This is the perfect primary or vacation home with seaside living in mind.